The government’s current objective regarding religion is simple, really: Love of country before love of religion – though, government officials would really rather see no love for religion at all. At the meeting, officials also demanded that all local churches carry out the so-called “four requirements” policy: Singing the national anthem, holding a flag-raising ceremony prior to worship, and promoting the new Regulations on Religious Affairs, and the “core socialist values” at church services. Soon after the meeting, a “red revolution” campaign against churches was launched in Baoji city. 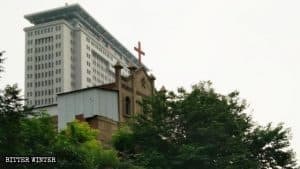 In October, under pressure from the authorities, a house church in the city’s Jintai district was forced to hang the national flag. 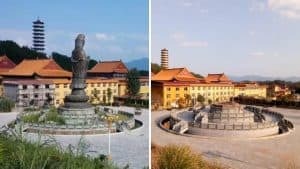 A few days later, the city’s Religious Affairs Bureau demanded that the same church put up a portrait of Mao Zedong – despite believers’ opposition. Then, the authorities stressed that slogans of the core socialist values must be posted in the church, and ordered believers to stop singing hymns praising God at the start of their gatherings and to sing songs praising the Party instead. 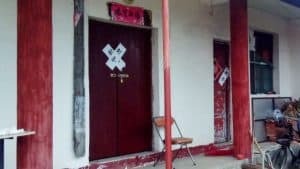 It is understood that several churches in Baoji city’s Jintai and Chencang districts have been forced to implement the “four requirements” policy. “If we don’t hang the national flag, the government will close down the church. This is the policy right now,” one church member said. 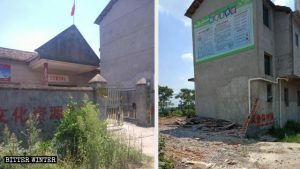 A government-controlled Three-Self church in Jing’an county, under the jurisdiction of Yichun city, in the southeast province of Jiangxi, has also been completely altered under the authorities’ “sinicization” campaign. The national flag and various management signboards are displayed on the wall of a Three-Self church in Jing’an county. 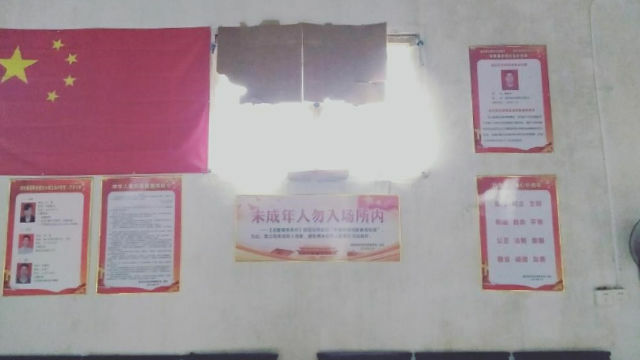 By early August, the church had put up the Chinese flag and displayed various signboards on the wall – including the national anthem, the Regulations on Religious Affairs, as well as a signboard detailing the responsibilities of township and venue management personnel. This “signboard of responsibilities” specifies the duties of officials at all levels. 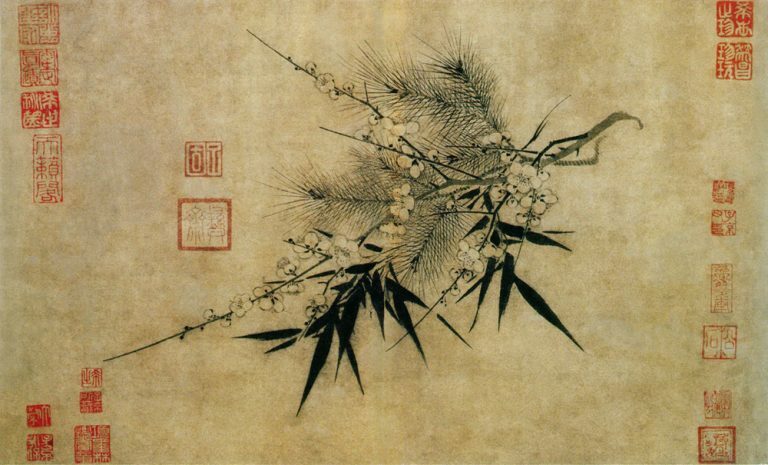 Among them, the main duty of the township’s deputy mayor is to guide and educate people to promote the core socialist values, and the village party secretary must assist the township in carrying out this work. 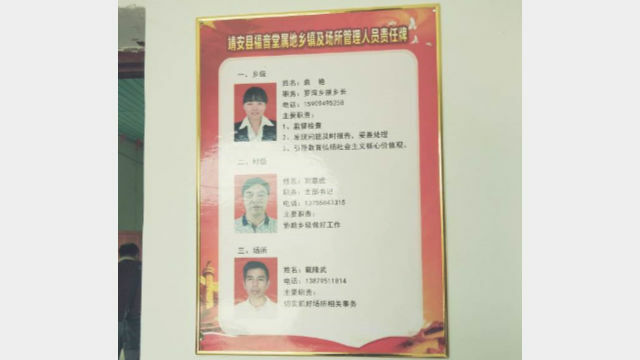 A signboard specifying the responsibilities of the local township and venue management personnel is displayed inside the church in Jing’an county. 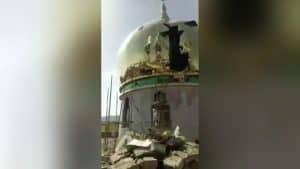 According to the church’s believers, the Religious Affairs Bureau also ordered the church’s leader to speedily teach all of the believers how to sing the national anthem. 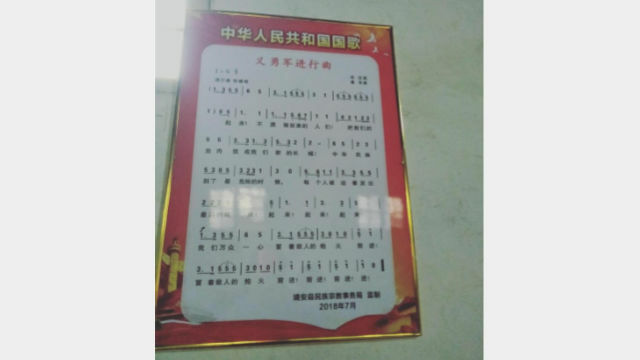 The national anthem is displayed inside the church in Jing’an county. With no alternative, the believers sang the national anthem at the church for the first time under the supervision of Religious Affairs Bureau officials. According to believers, after the national anthem was sung, most believers were left with a heavy heart, and some of them even shed tears of sorrow. It is not only Christian churches that have been forced to hang the national flag and sing the national anthem. 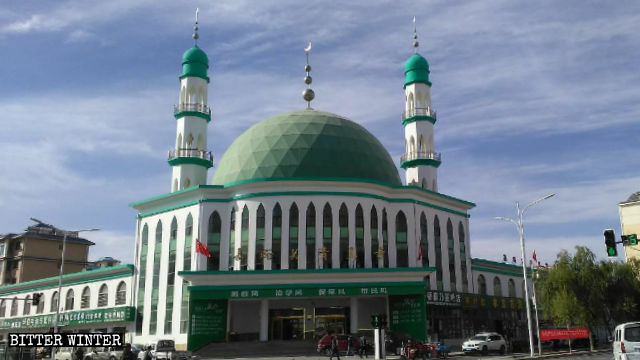 A mosque in Jiayuguan city, in China’s northwestern province of Gansu, was also enrobed in a “sinicized” exterior, and the recital of scripture can no longer be heard inside the mosque. Overall view of the Jiayuguan Mosque. In August 2018, the city’s Religious Affairs Bureau sent personnel to erect the Chinese flag at Jiayuguan Mosque. Surveillance cameras were installed throughout the area surrounding the mosque. At the entrance to the mosque, the “Five ‘Musts’ of Patriotism” are written on the left side of the wall, and the “Core Socialist Values” are written on the right side. Now, the mosque’s imam has been replaced with an imam assigned by the government. Before worship begins, the imam must first promote the state’s policies. This has already become part of the mosque’s regulations. 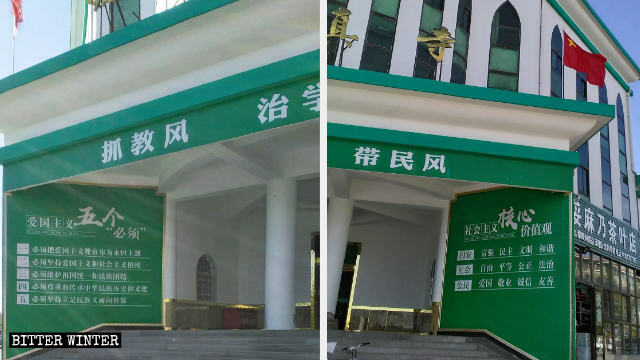 At the entrance to Jiayuguan Mosque, the “Five ‘Musts’ of Patriotism” are written on the left side of the wall, and the “Core Socialist Values” are written on the right side.